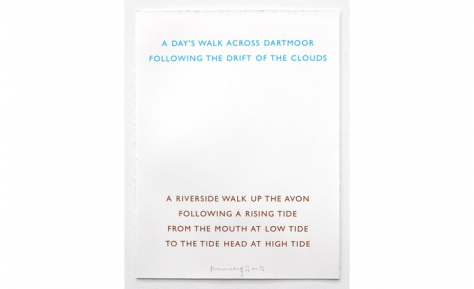 Richard Long was born in Bristol in 1945. He achieved prominence in 1967 with his seminal work A Line Made by Walking, made when he was still a student at St. Martin’s School of Art in London. Since then he has worked, exhibited and been collected throughout the world. He is the only artist to have received four Turner Prize nominations, winning in 1989. In 2009 the Tate presented a major exhibition of Long’s work under the title Heaven and Earth. Long has had numerous solo shows at international museums including the National Galleries of Scotland; SFMOMA; the Hayward and Whitechapel galleries in London; and the Guggenheim Museum in both Bilbao and New York. Long’s work can be found in the permanent collections of the Australian and Canadian National Galleries; the Louisiana Museum of Modern Art in Denmark; the Centre Pompidou in Paris; the Stedelijk Museum in Amsterdam; Tate; and MOMA New York, amongst many others. Richard Long is a Royal Academician. He was awarded the Praemium Imperiale for sculpture from Japan in 2009 and was made a CBE in 2013. He lives and works in Bristol.